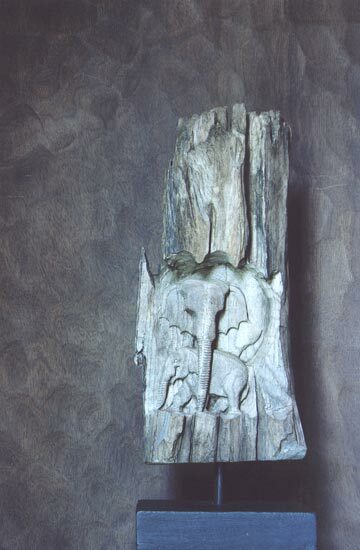 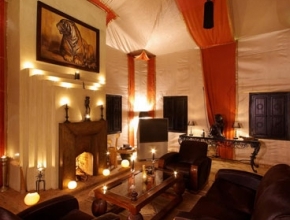 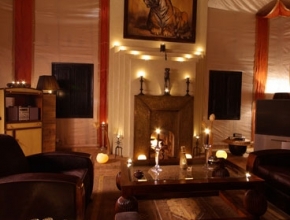 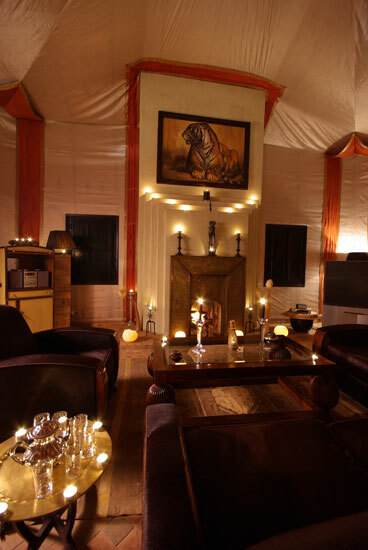 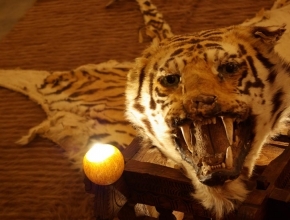 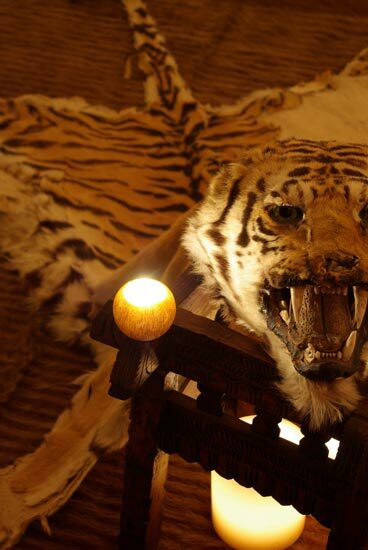 The powerful and evocative atmosphere of the African lodge will remind you of the days of the great explorers such as Livingstone and Stanley. 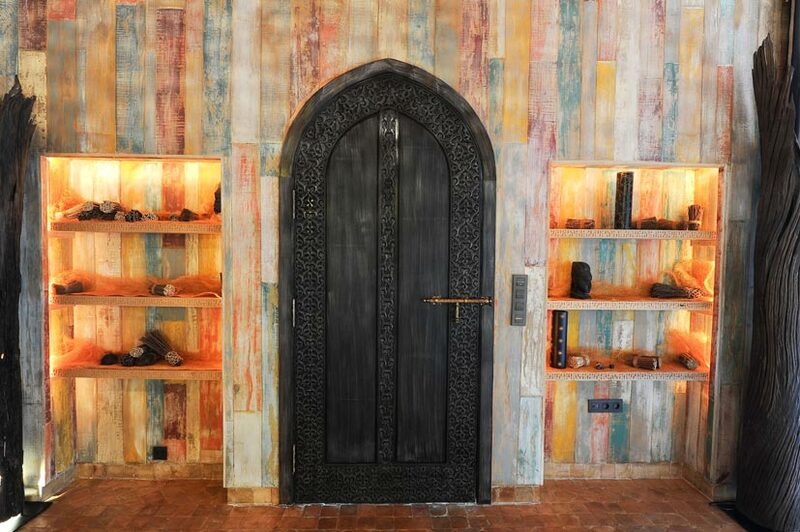 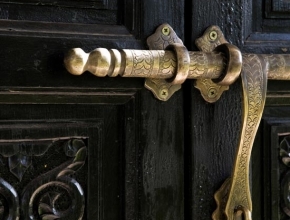 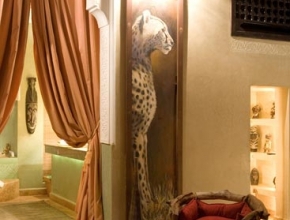 Even Hemingway would have enjoyed a stay here. 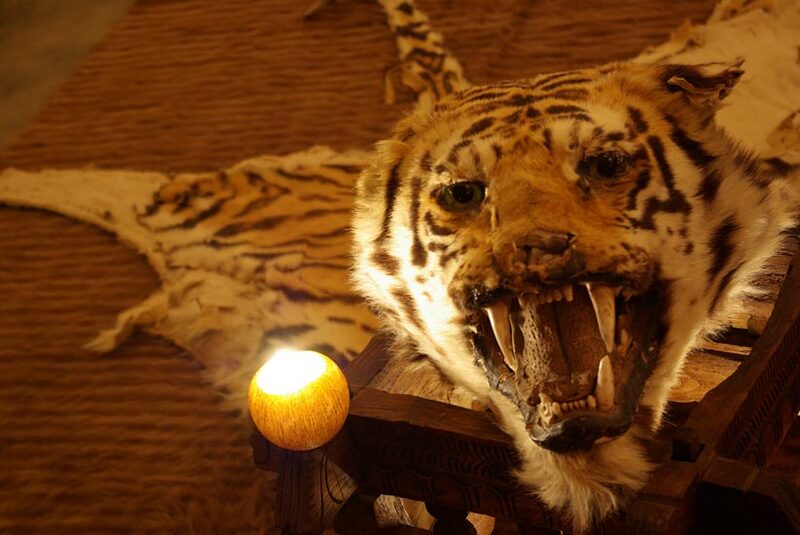 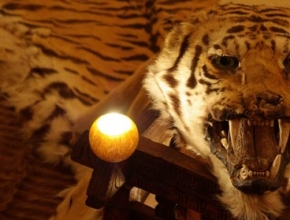 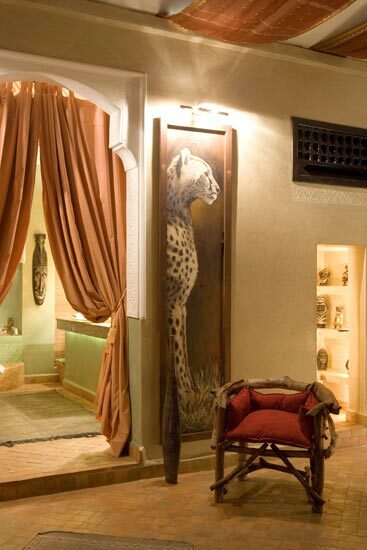 A multitude of masks and statues, decked weaves, beautiful cheetah portraits, all reminiscent of colonial times will transport you on a safari. 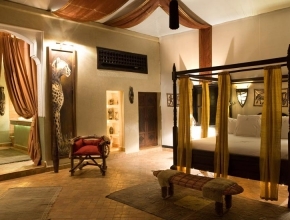 If you have a romantic soul, you will feel immediately transported on the Kenyan farm of Danish writer Karen Blixen and the movie “Out of Africa”. 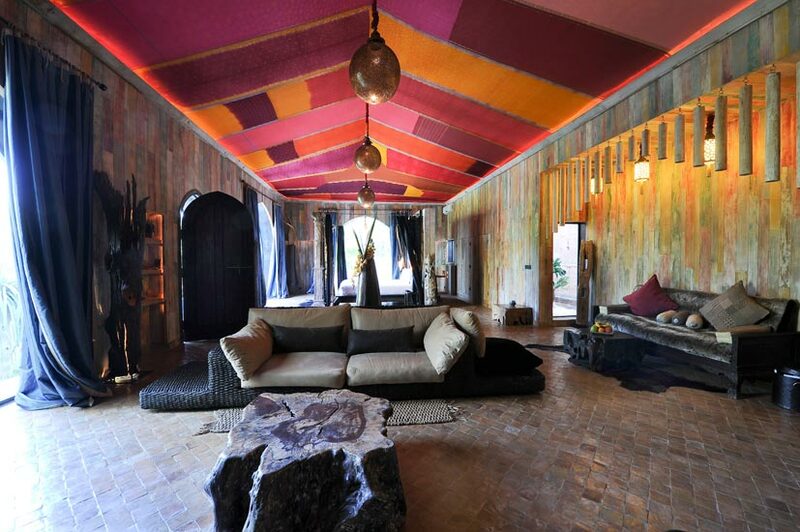 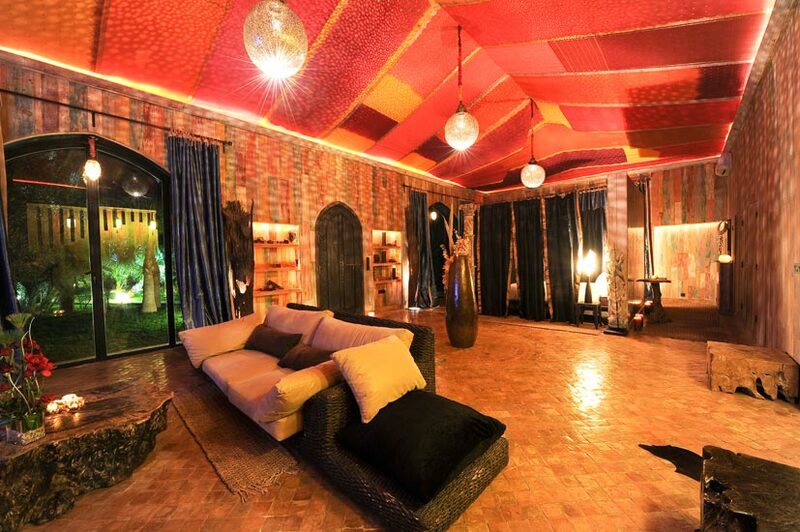 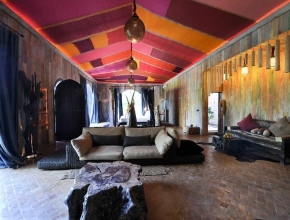 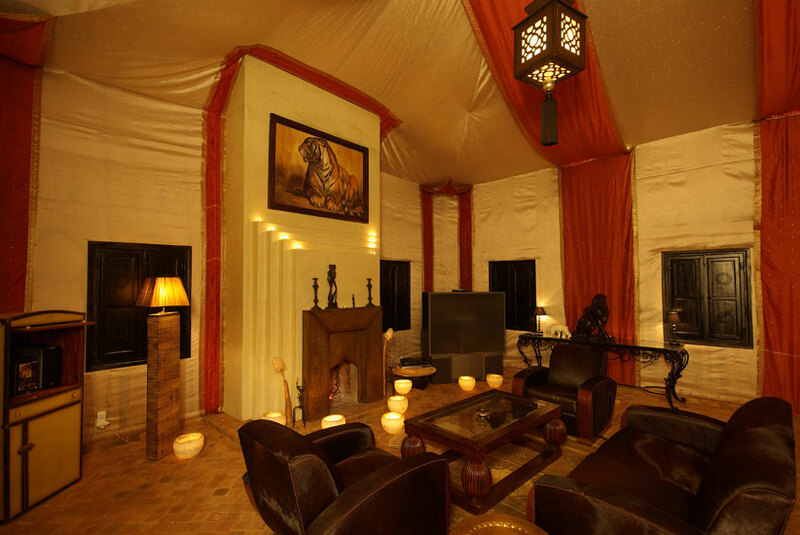 The ceiling with its ocher cotton fabrics gives the illusion of a dreamlike camp and matches the chocolate tones of the sofas. 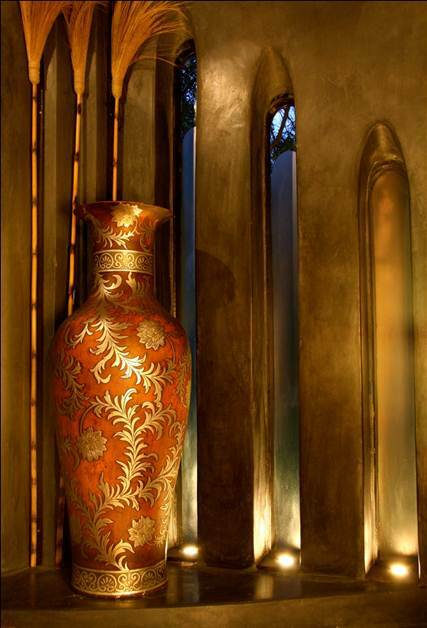 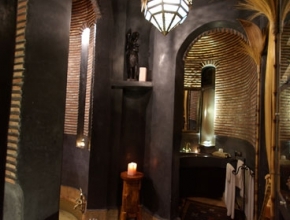 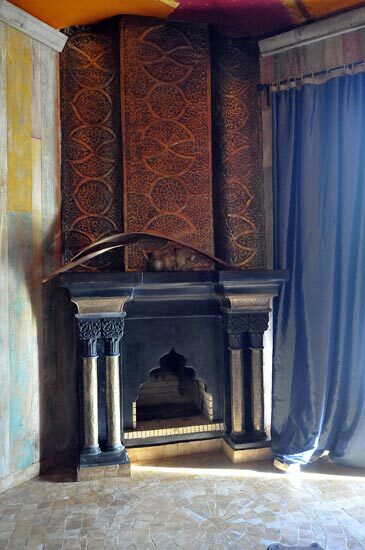 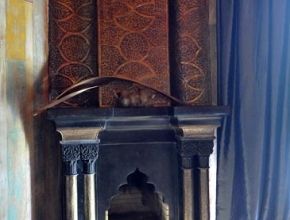 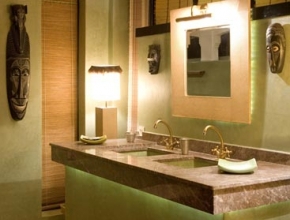 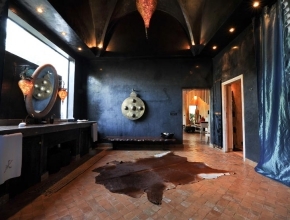 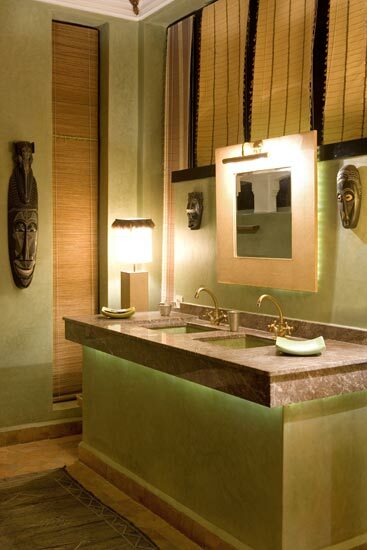 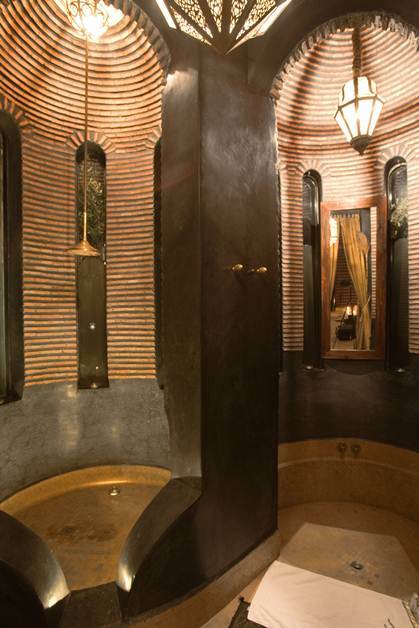 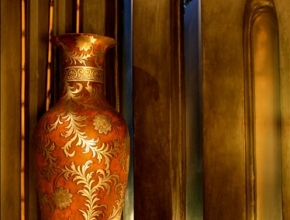 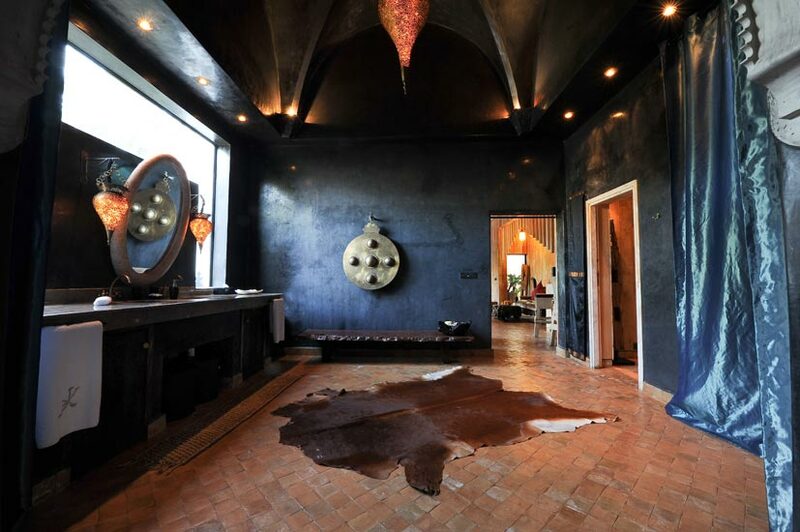 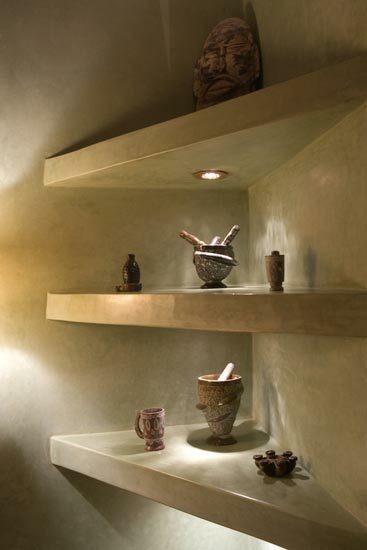 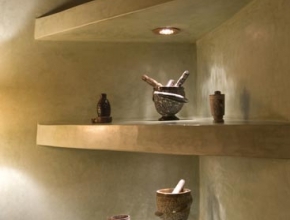 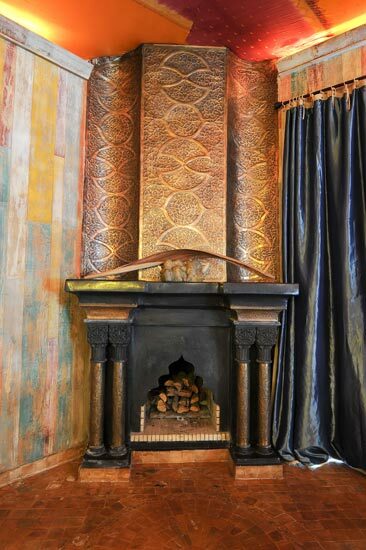 Earth tones, ocher, gold, copper, colors from the savannah dominate the room. 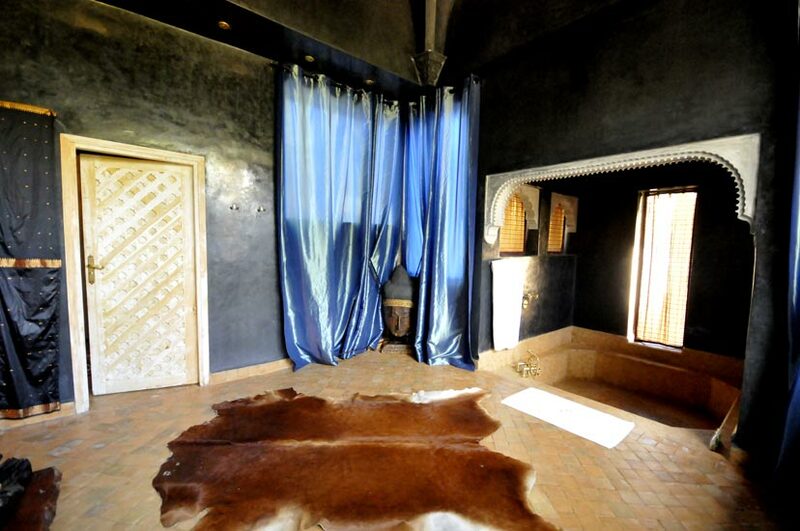 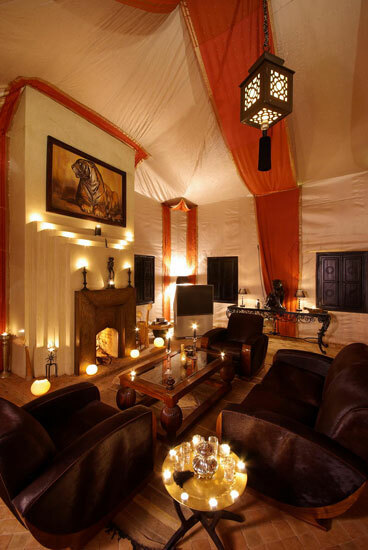 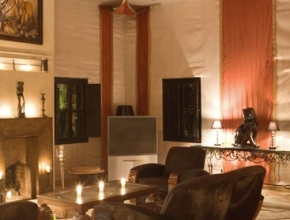 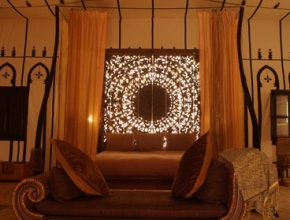 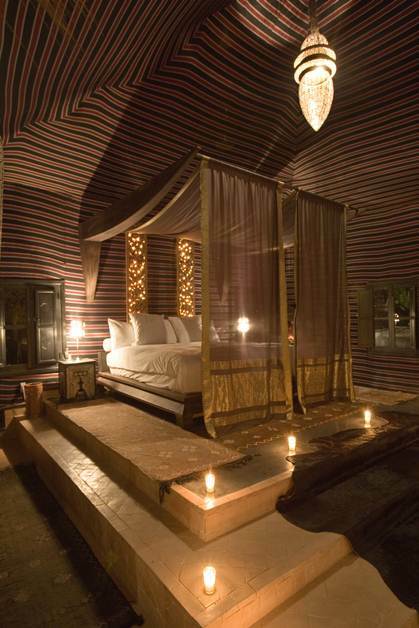 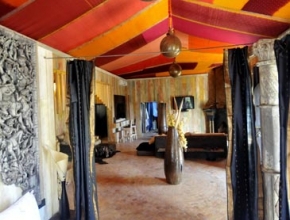 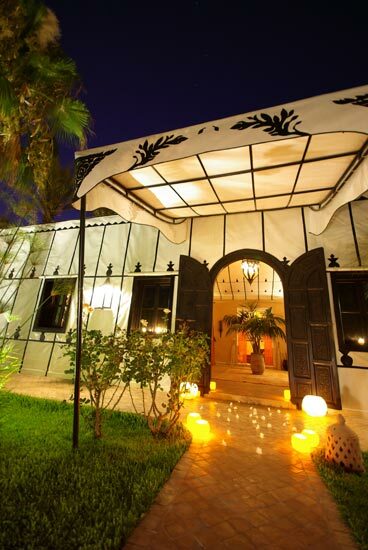 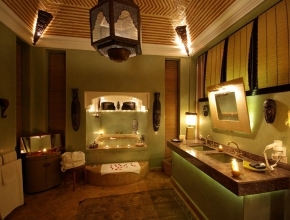 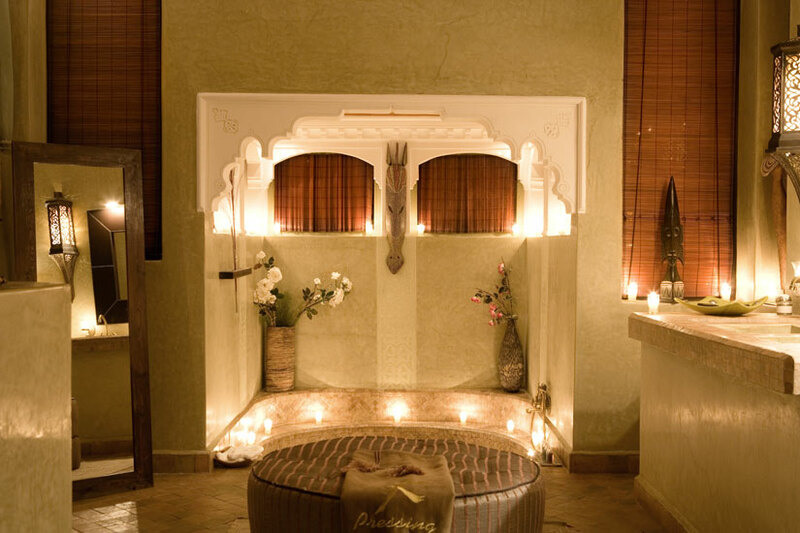 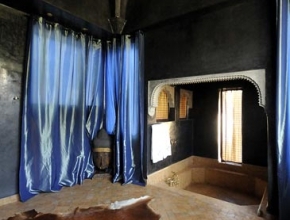 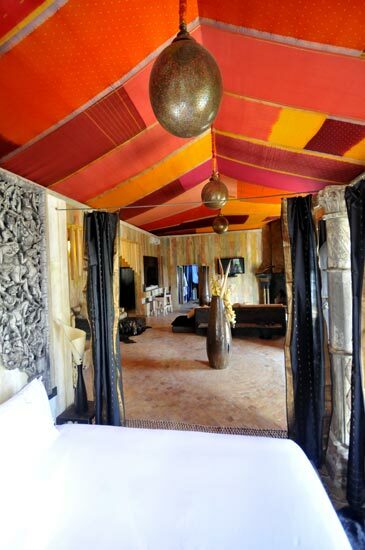 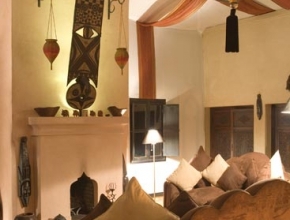 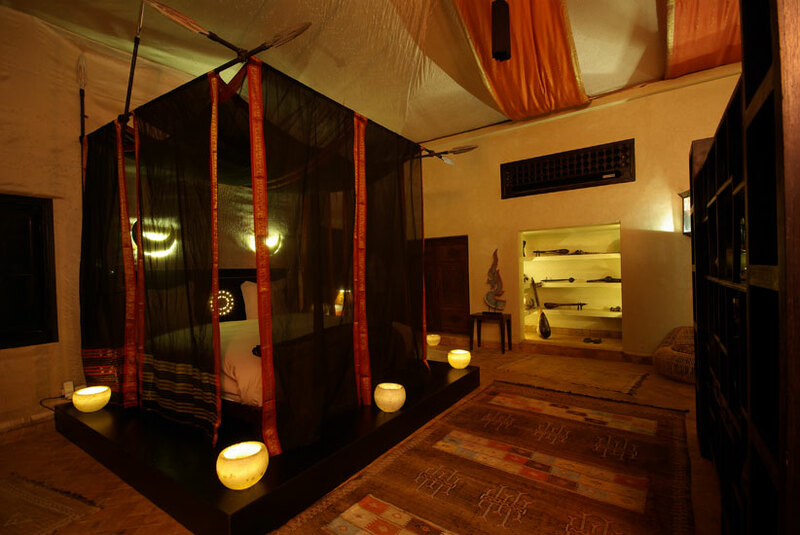 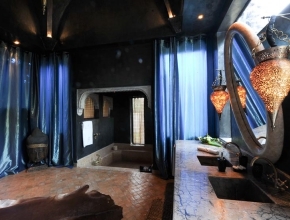 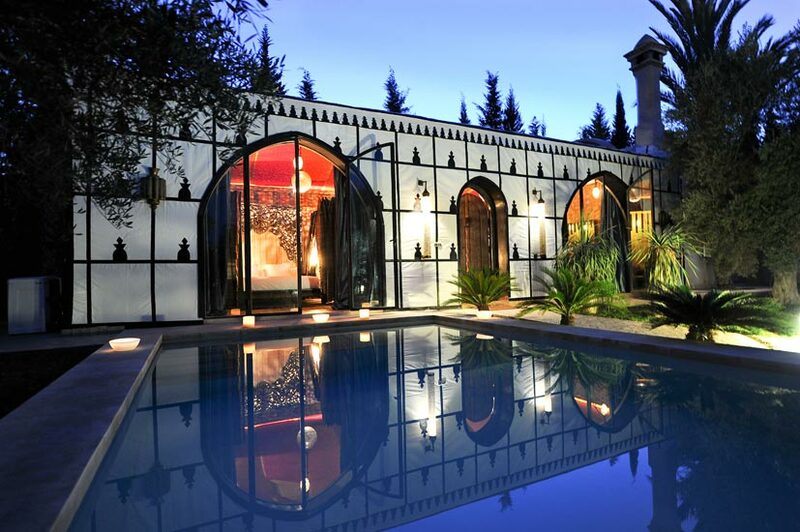 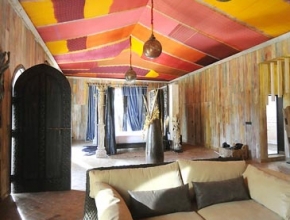 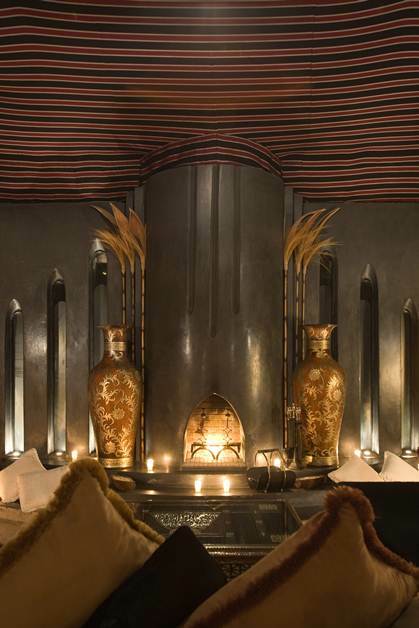 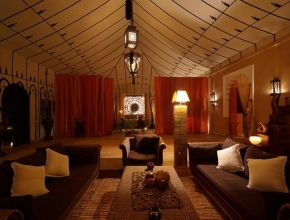 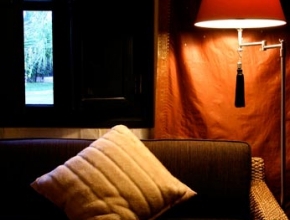 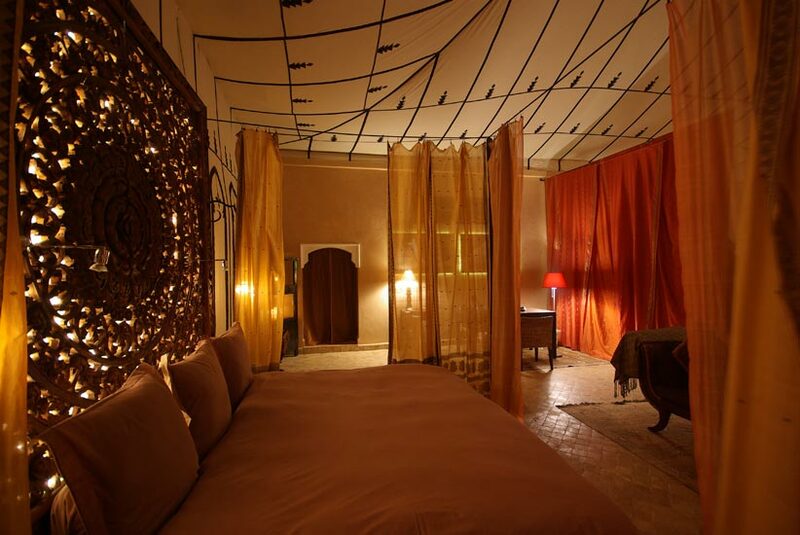 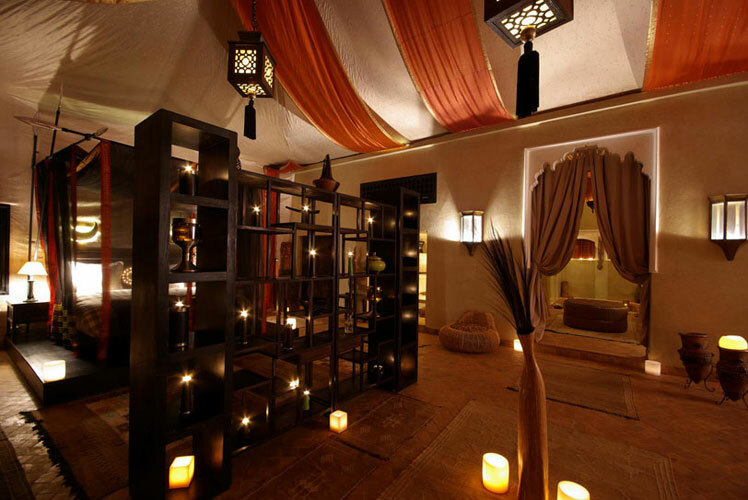 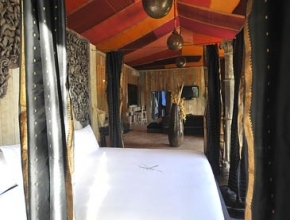 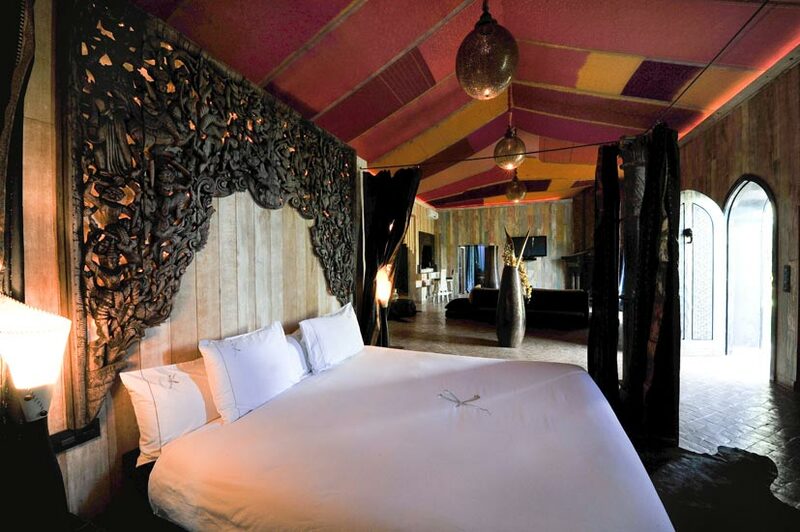 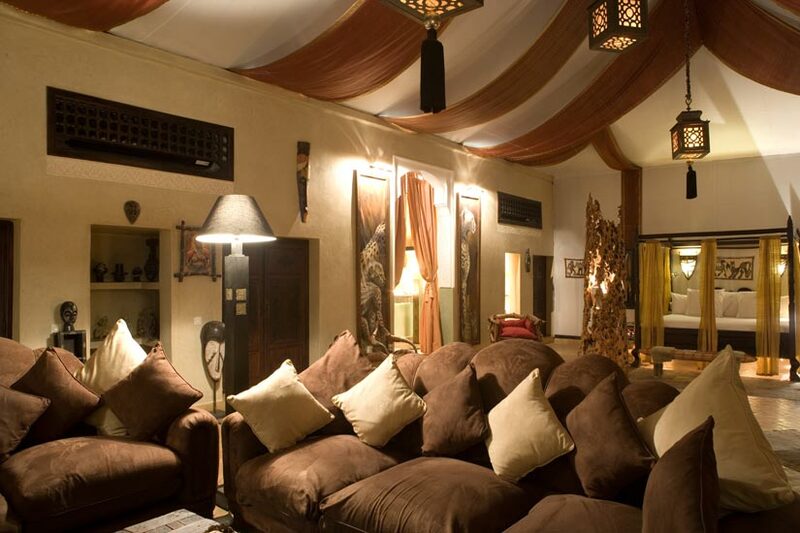 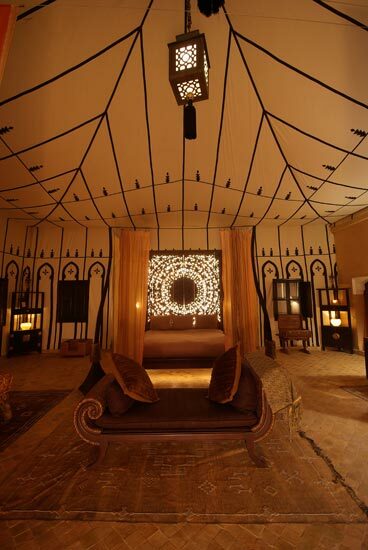 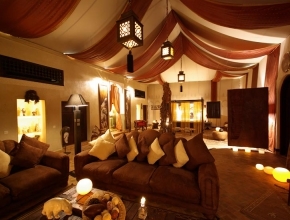 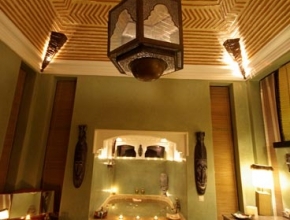 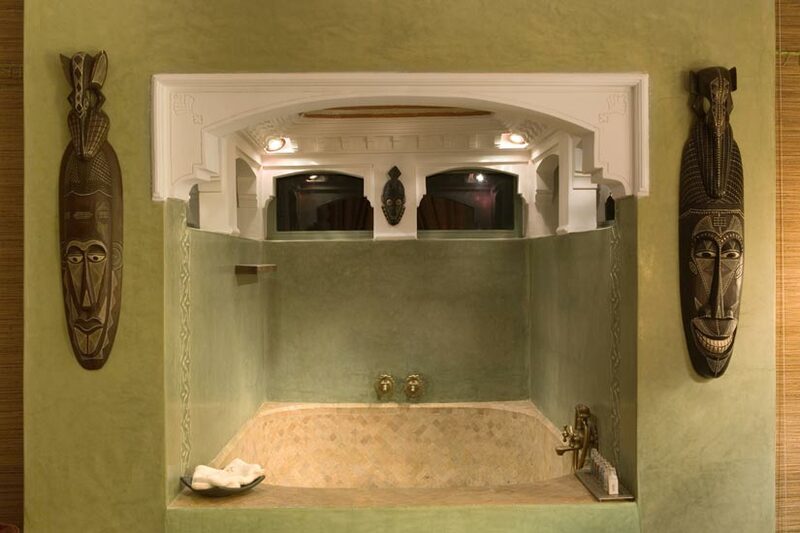 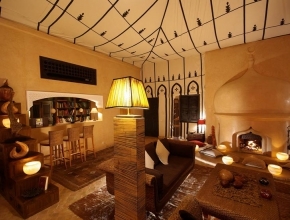 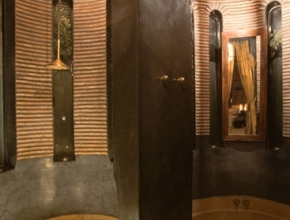 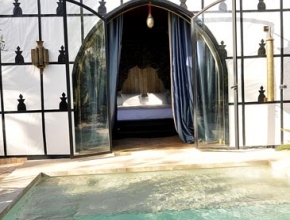 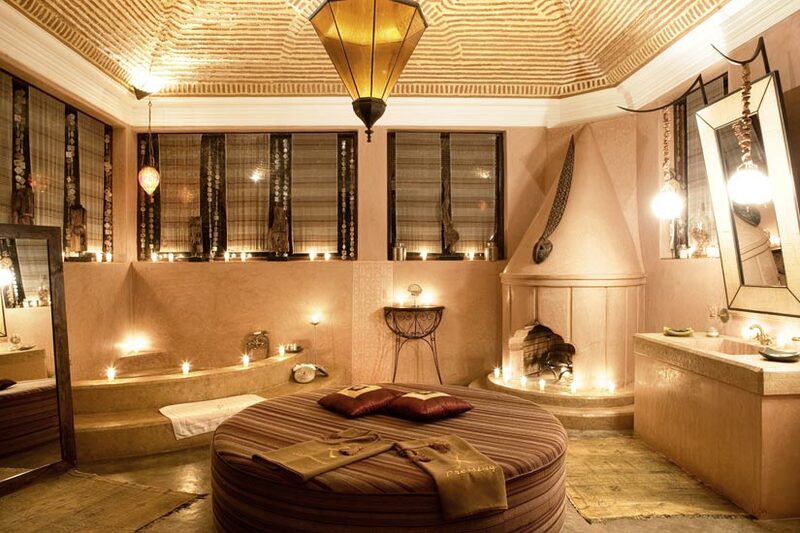 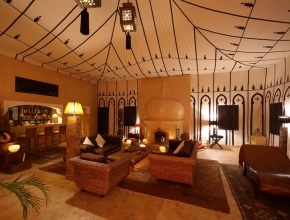 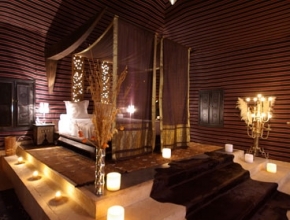 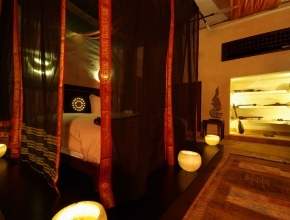 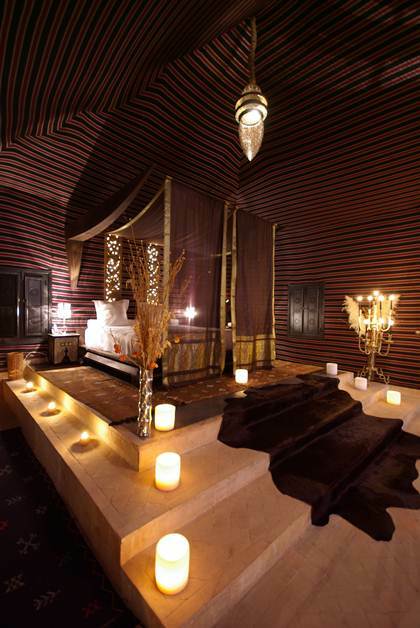 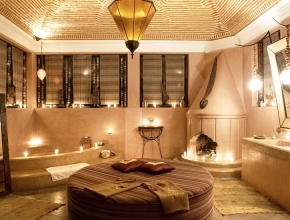 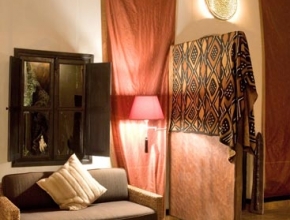 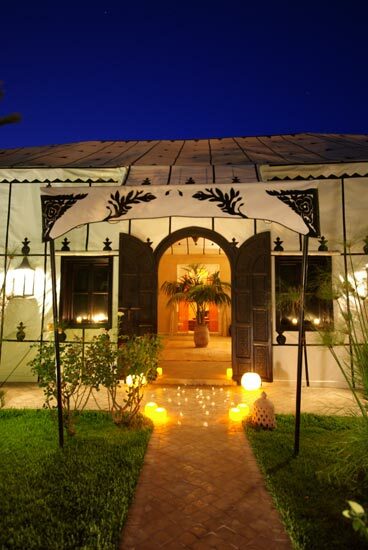 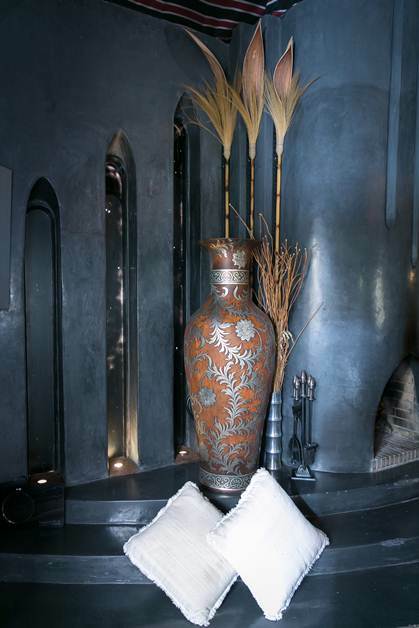 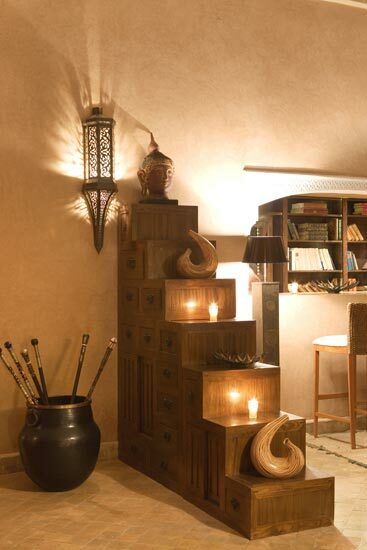 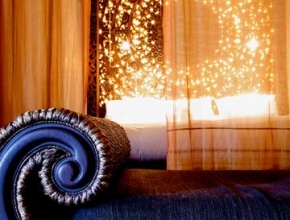 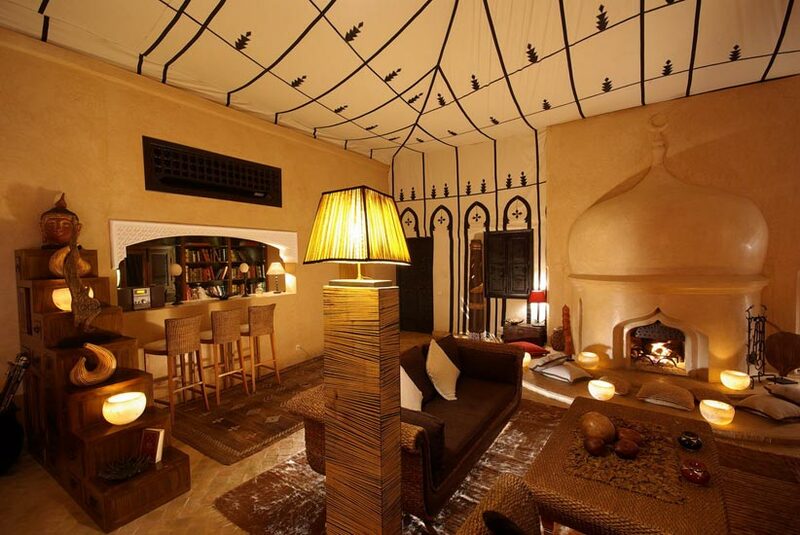 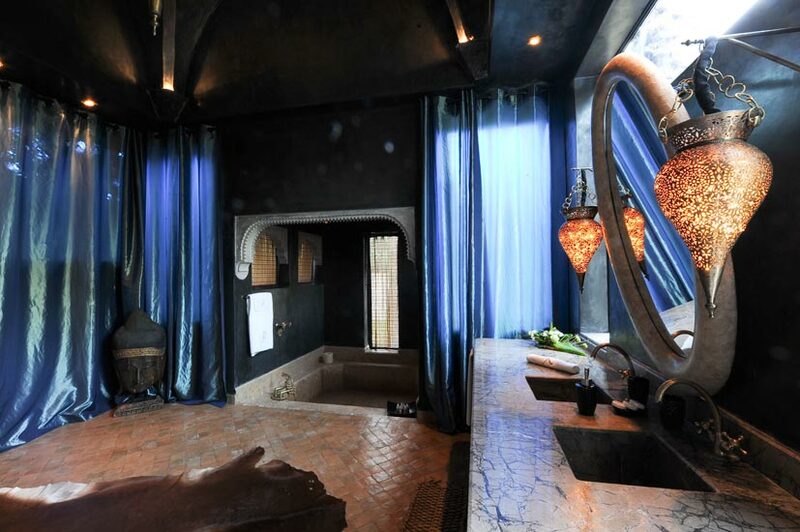 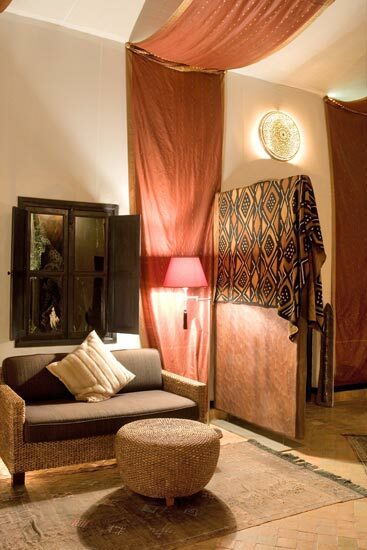 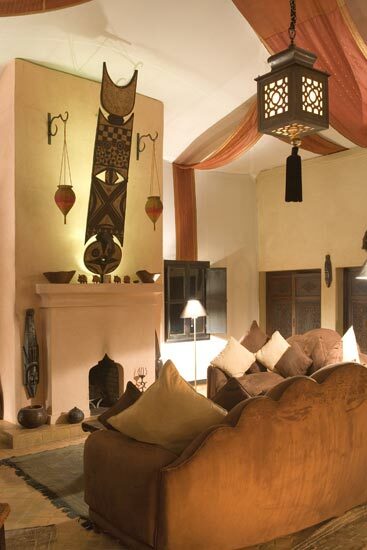 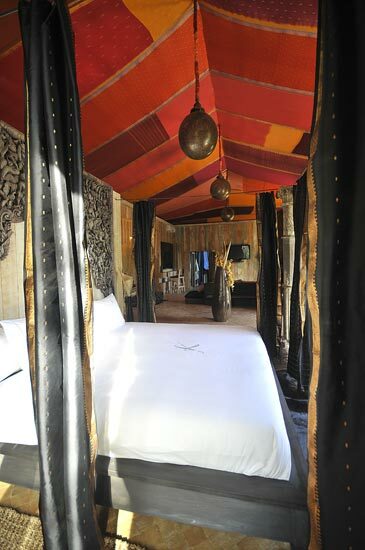 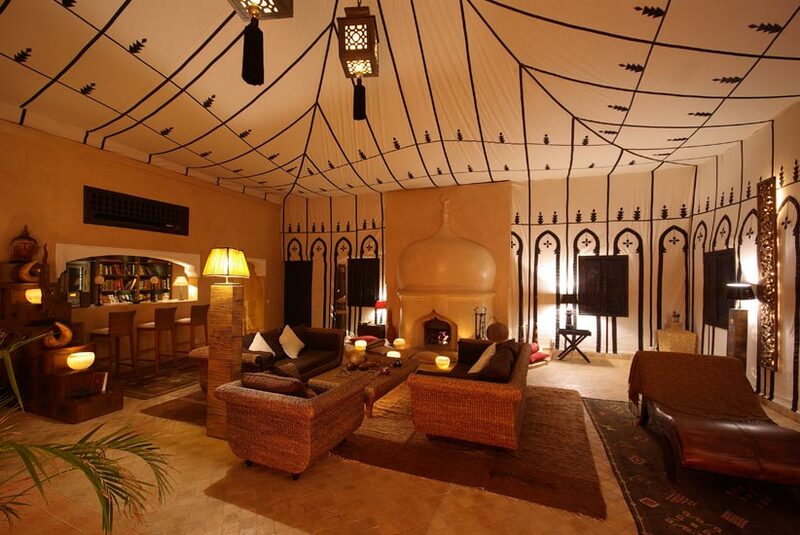 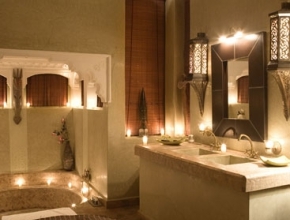 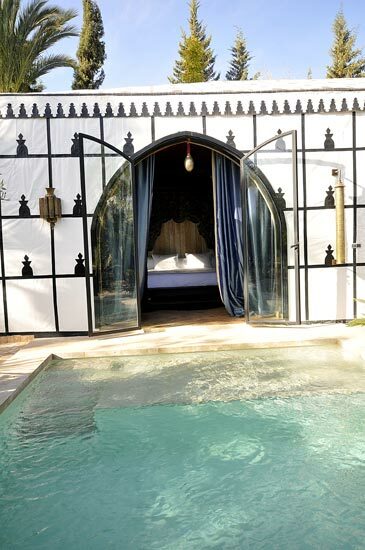 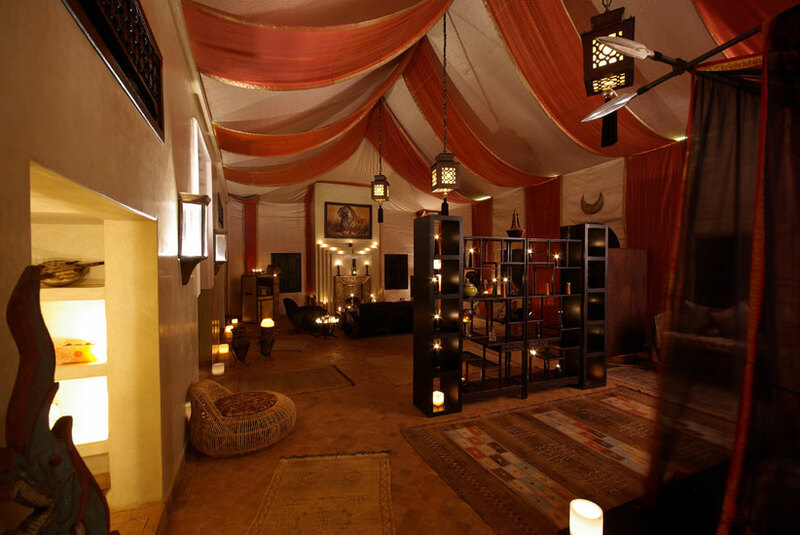 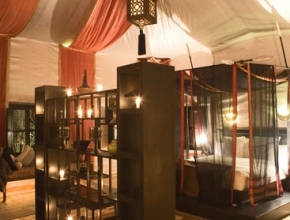 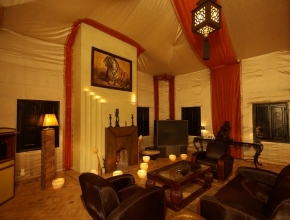 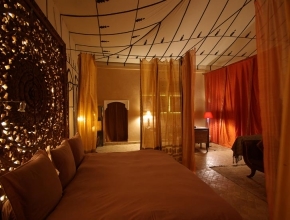 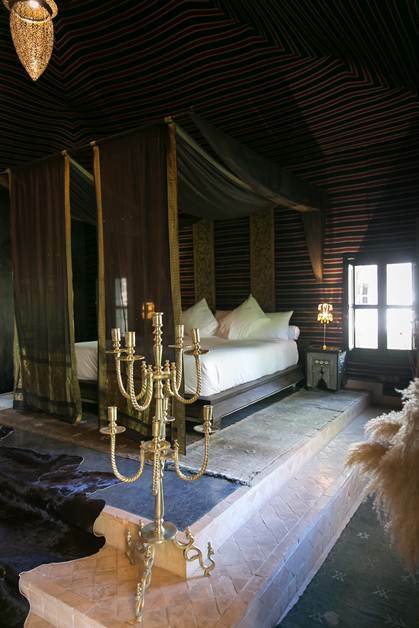 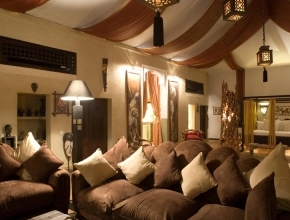 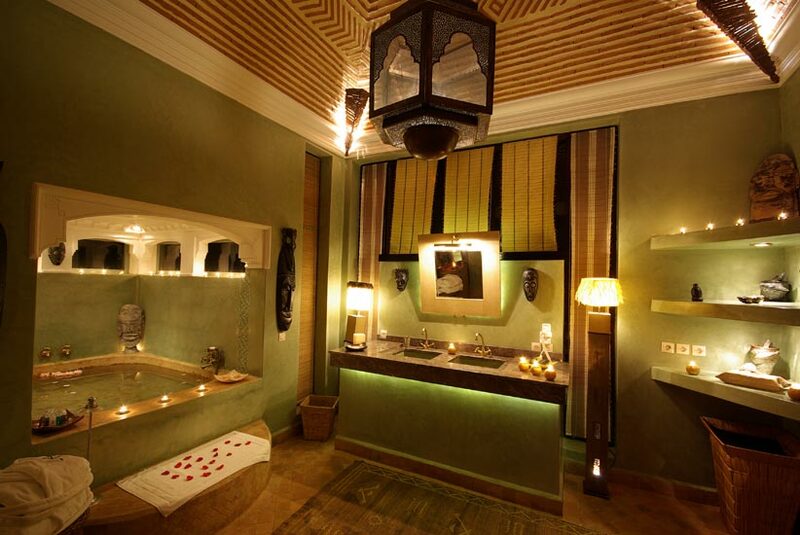 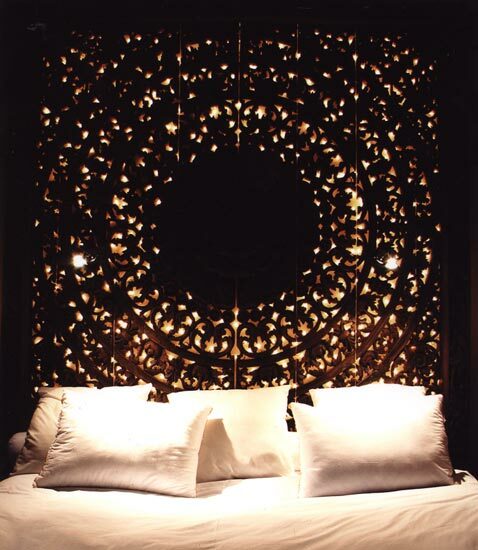 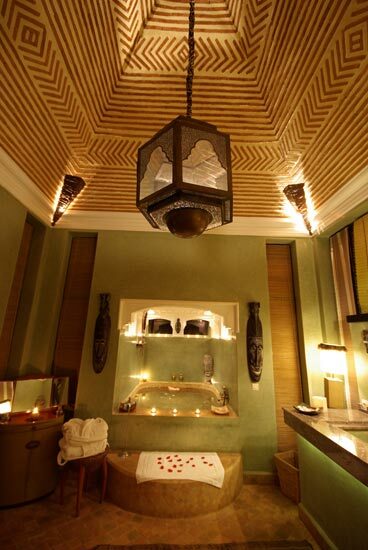 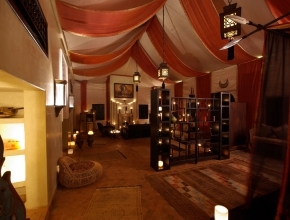 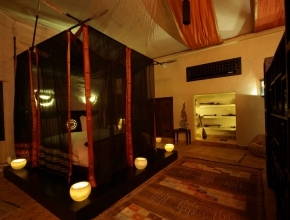 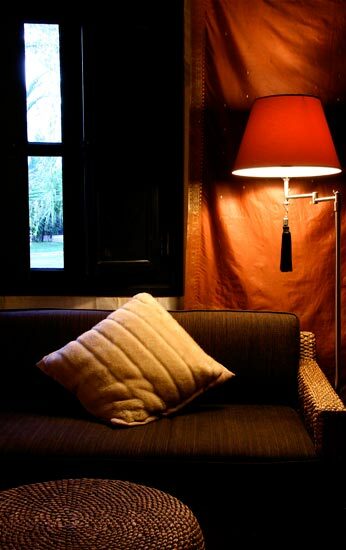 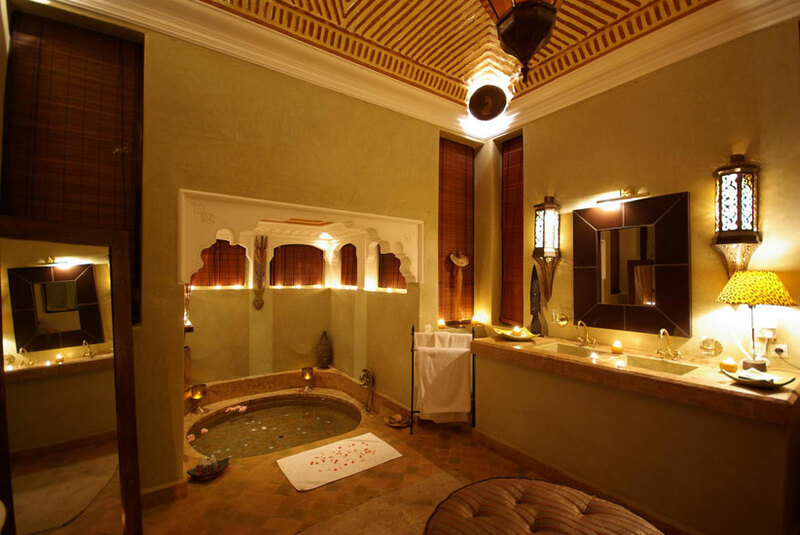 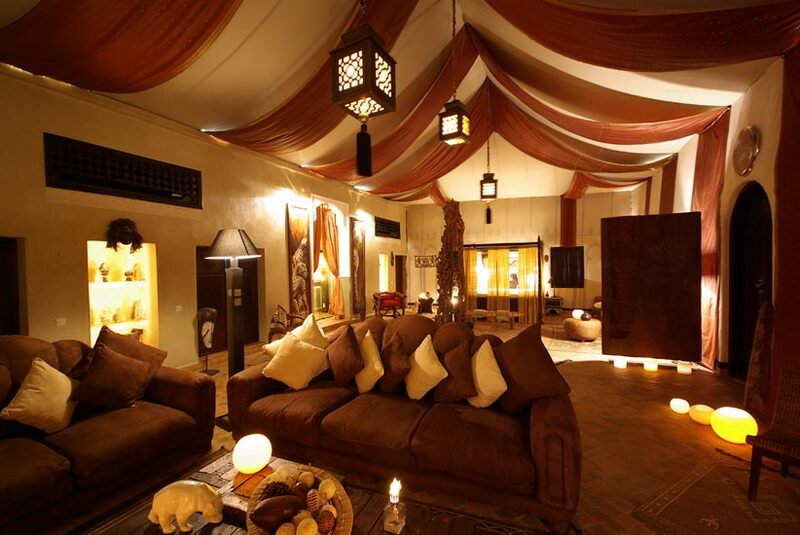 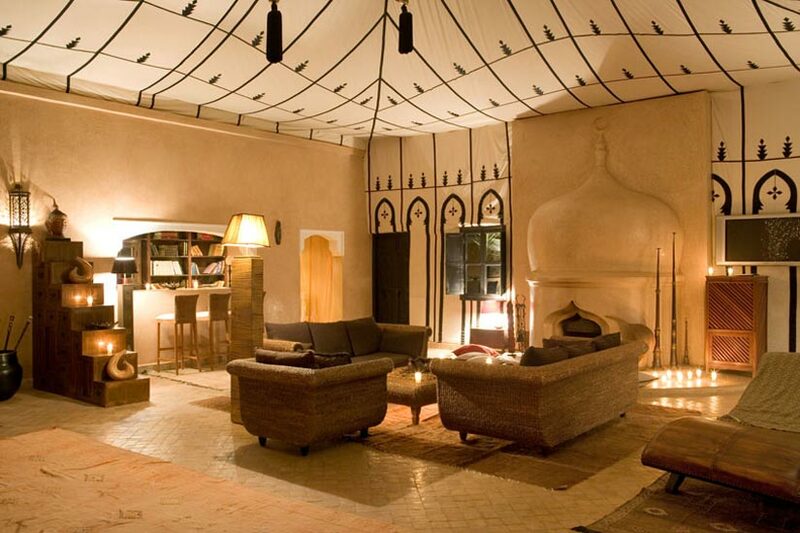 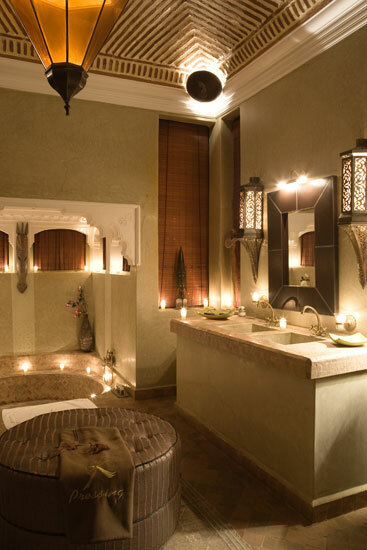 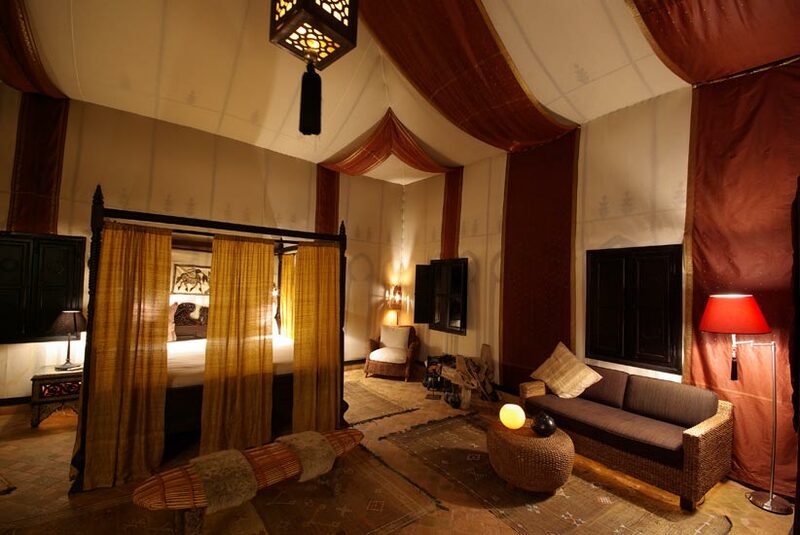 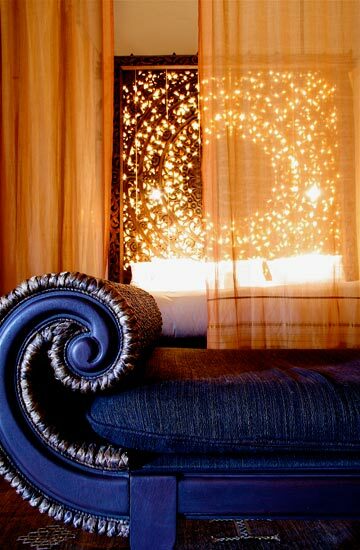 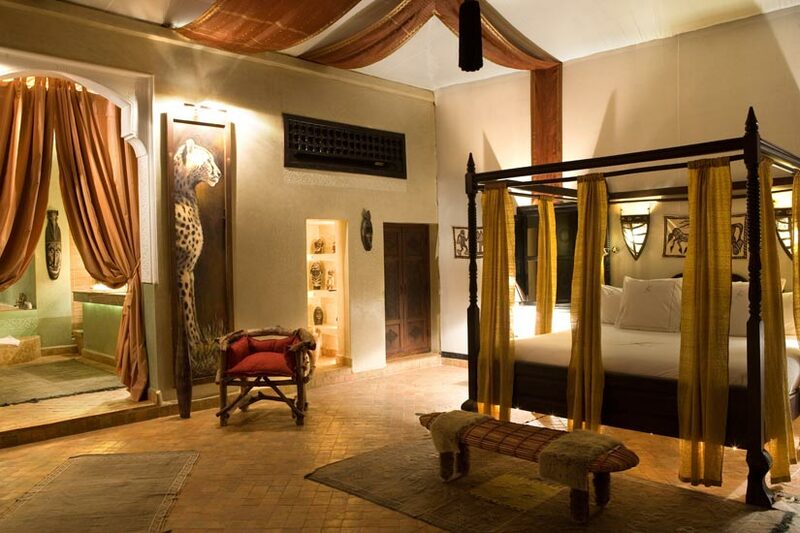 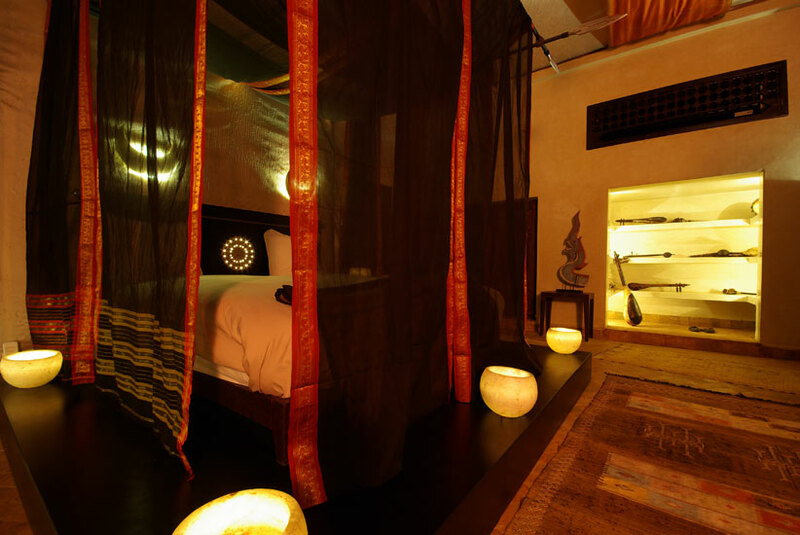 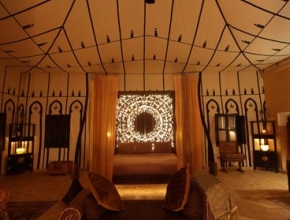 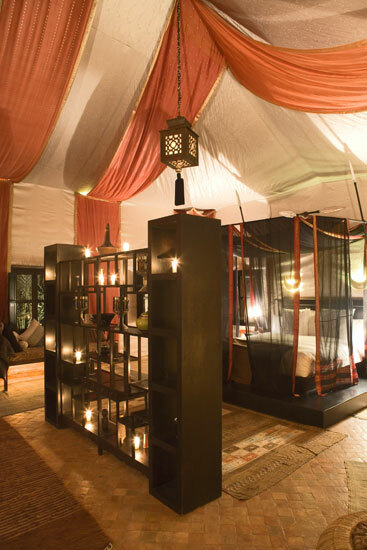 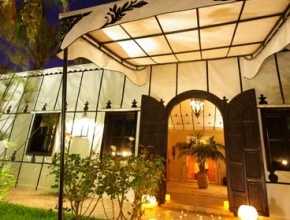 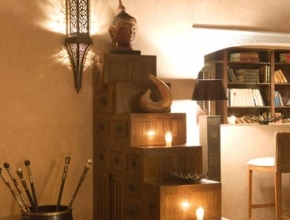 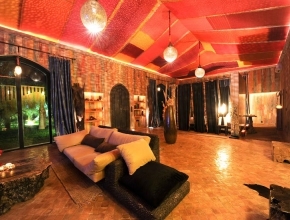 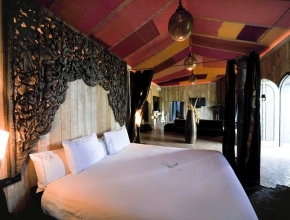 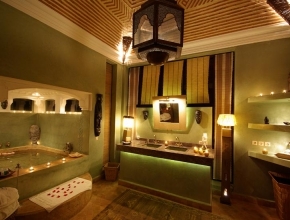 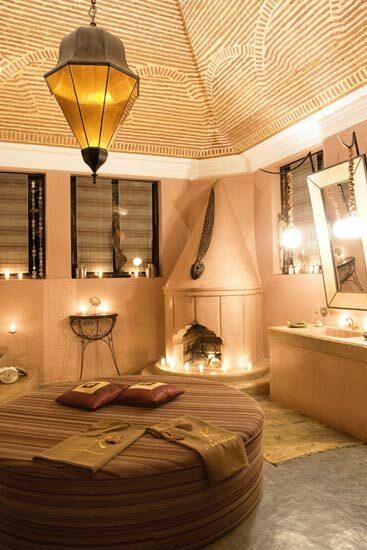 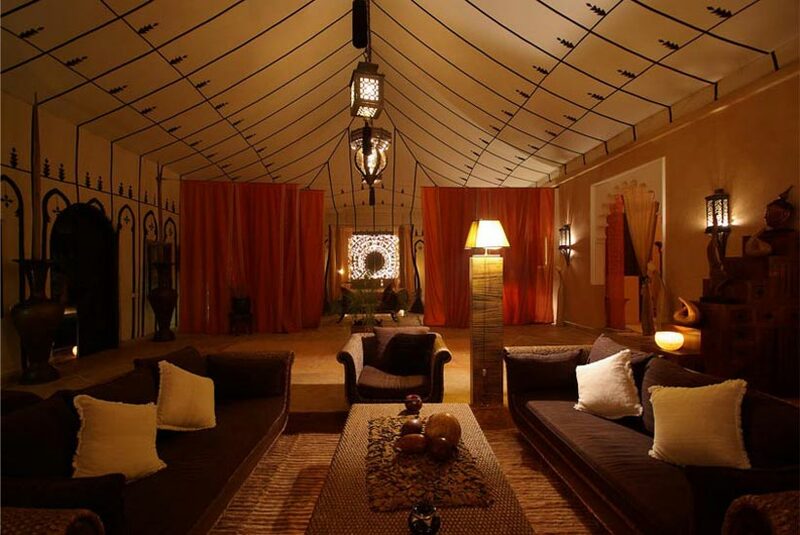 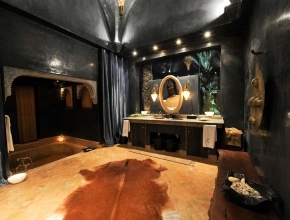 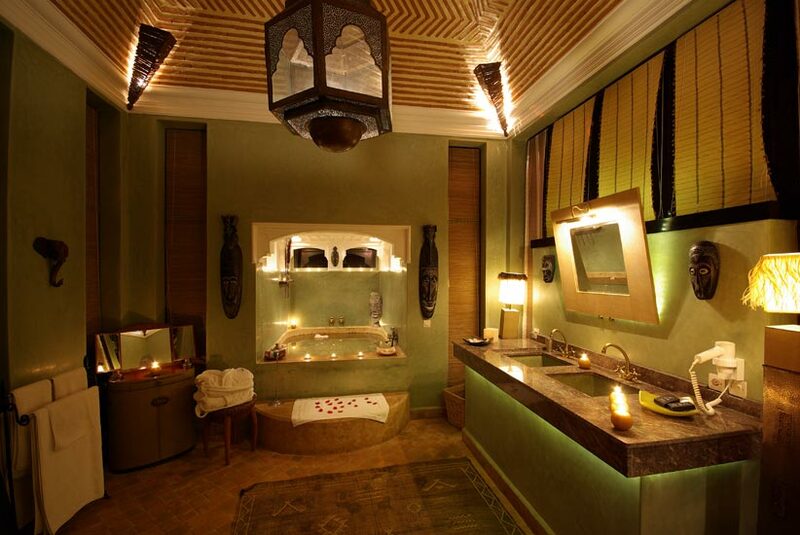 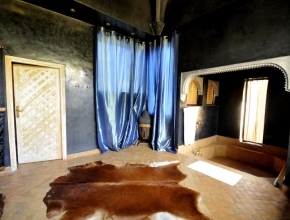 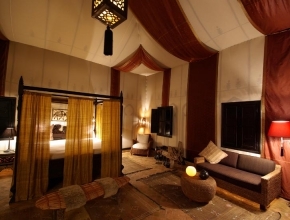 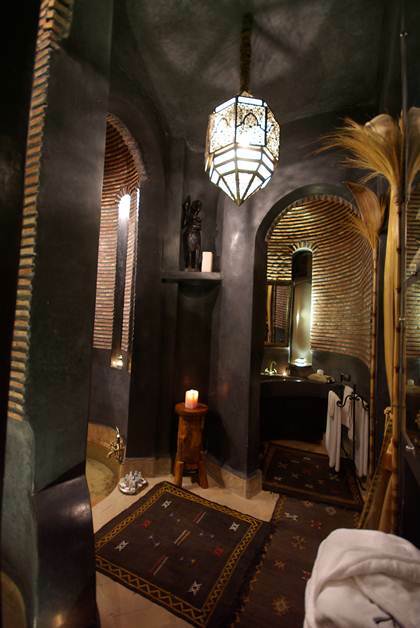 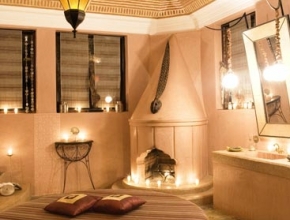 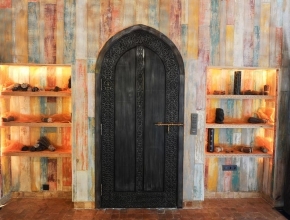 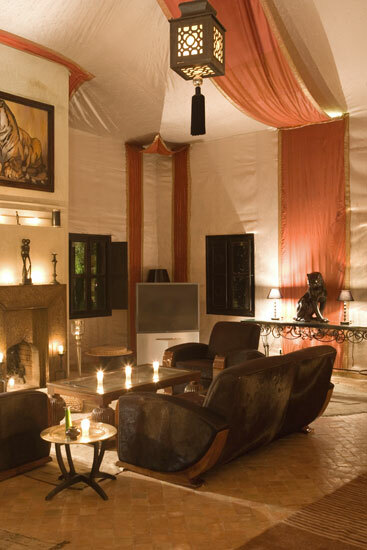 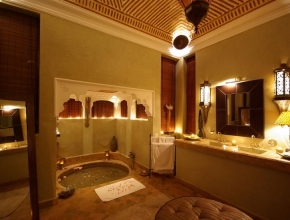 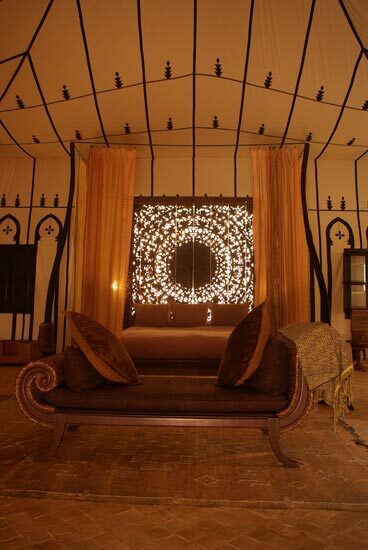 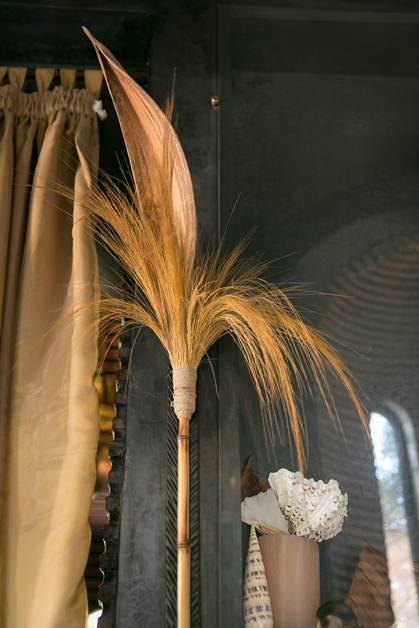 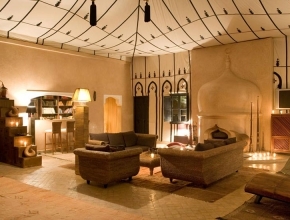 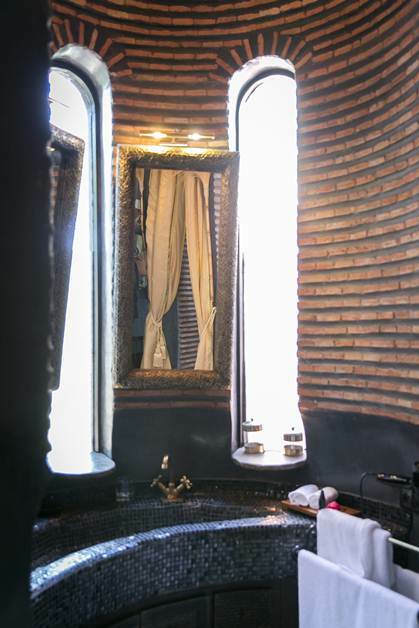 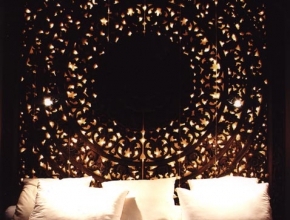 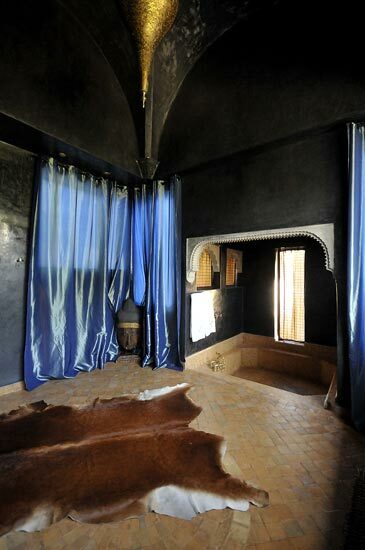 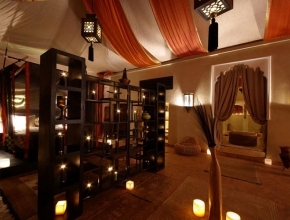 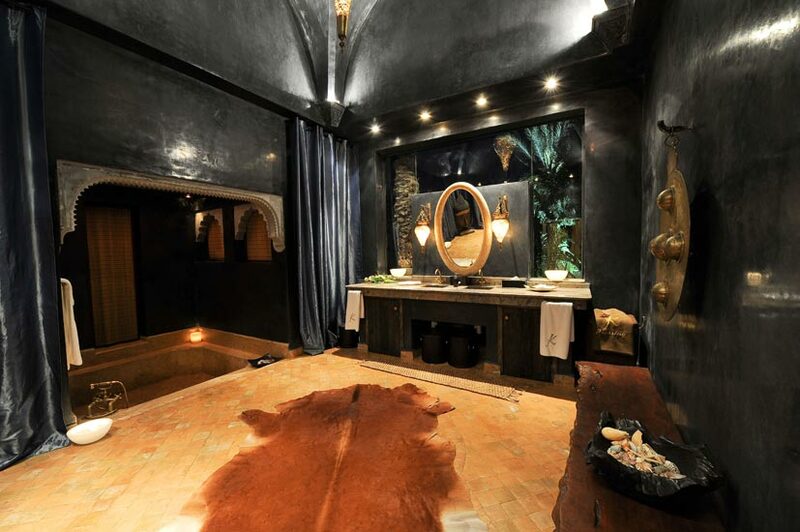 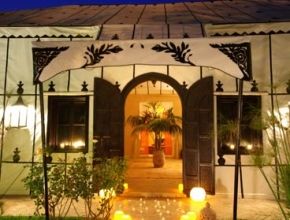 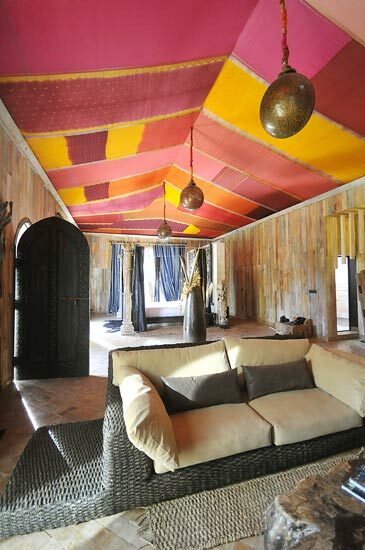 Lying on the canopied bed decorated with linen curtains, African memories will become yours. 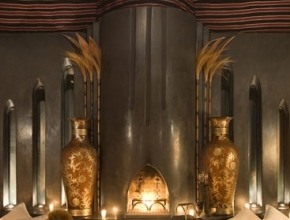 Sober, comfortable and elegant, the lodge Art Deco wonderfully recalls a 1930’s atmosphere highlighted by strong decoration accents of the era. 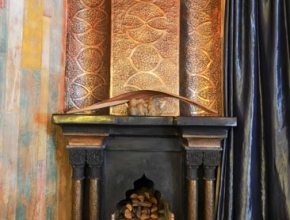 The furniture featuring pure and dynamic geometric shapes, the remarkably integrated modular fireplace, the canopy bed resting on a square base, leather club chairs and precious wood veneers, the noble and contrasting materials, all is designed to suspend you outside of time. 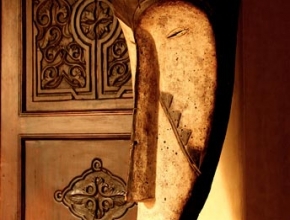 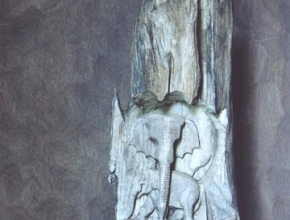 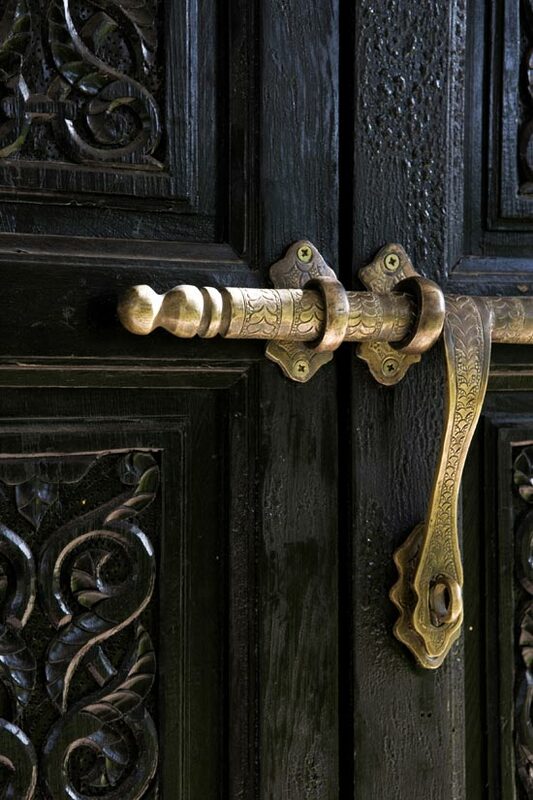 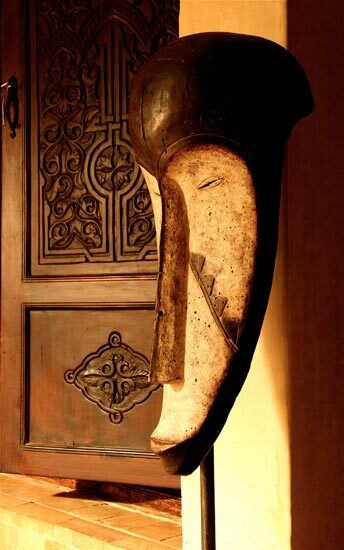 You will particularly appreciate the presence of a magnificent bronze piece by the sculptor François Pompon and the beautiful collection of musical instruments. 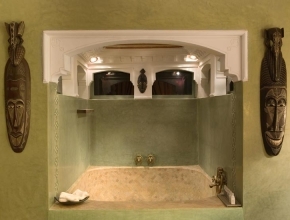 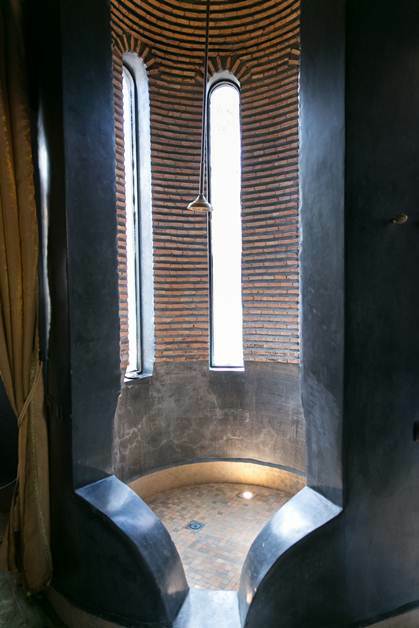 The refinement and the quality of the decorative elements underline the modernity, attractiveness and vitality of that great era.